Help patients overcome their recovery challenges. Starting with the force of gravity. Empowering patients through their rehabilitation starts with making the process easier. Maestro Rehab is a mobile dual arm support system that helps patients complete more reps by reducing the pull of gravity, so they stay engaged and enthusiastic throughout their rehab program. When muscles don't work, Maestro Rehab does. Adapted from the Steadicam™ technology used in movies, Maestro helps create magic in everyday life. 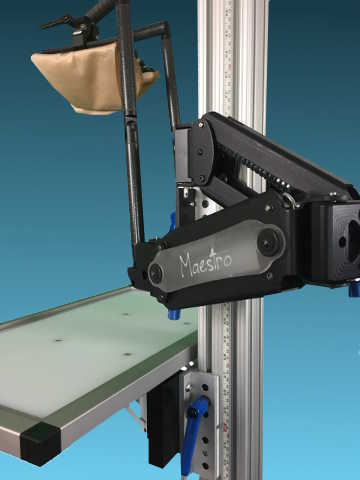 By lessening the pull of gravity on a patient's weakened limbs, Maestro allows them to work longer through each session to help achieve faster results. With industry-leading range of motion, Maestro helps return mobility, freedom and independence to patients with injuries and neuromuscular challenges. Each Maestro Rehab units comes standard with dual arms for a balanced recovery. 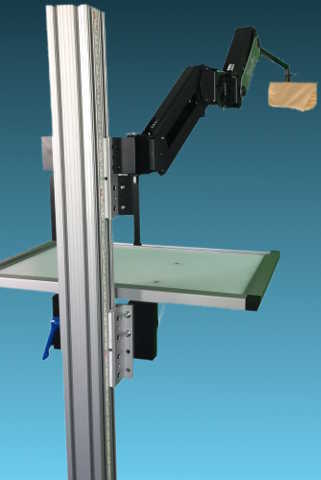 Each Maestro Rehab unit is attached to a rolling frame, giving the therapist the freedom to move the arms around the office. 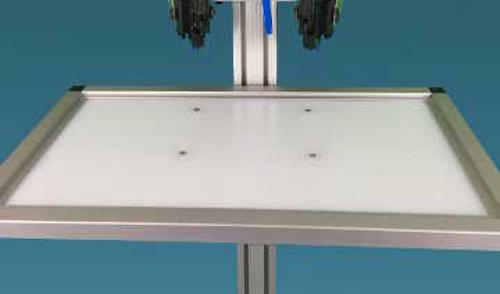 The wide base fits most wheelchairs, allowing the patient to easily access the device. The rolling cart provides four locking wheels to keep the cart stable when in use and can easily be moved and stored, as needed. The optional folding workstation is a great addition for smaller clinics. The worktable can be used for activities during therapy sessions, an extra work area for therapists or folded away when not in use. 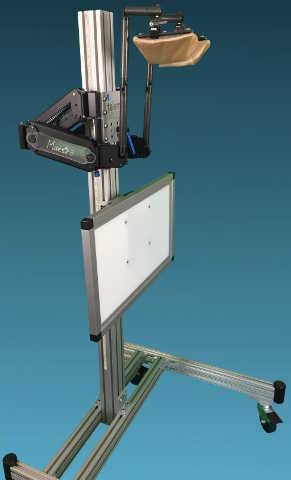 The table height can be adjusted to fit the needs of the patient. An integrated ruler allows the therapist to track improvements in each patient's range of motion. With quantitative measurements, individual patient setup is repeatable and patient progress can be tracked for reimbursement. 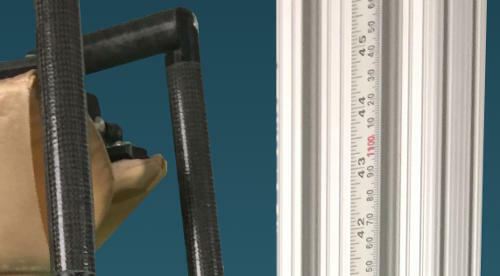 Measurements can be tracked from both sides of the unit for unilateral therapy. Our unique, patented cuff system help your patients can reach their full potential in comfort. The cuffs wrap securely around each arm, ensuring they will stay with them no matter what activities they are performing. Each cuff can be attached either beneath or above clothing for maximum flexibility and comfort. Looking to purchase three or more units? Contact us for bulk pricing. Not ready to purchase? We are now offering a 3 and 6-month evaluation of the Maestro Rehab! 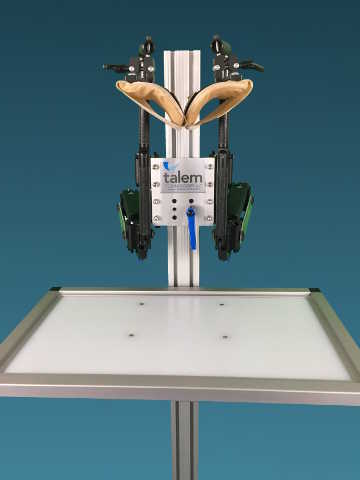 Talem Technologies is a company built on reshaping what's possible. We empower the persistent to succeed by developing groundbreaking rehabilitation and assistive innovations. Our pusuit began with the X-Ar, an arm-mounted exoskeletal device that improves limb mobility for those affected by spinal cord injuries and neuromuscular degenerative diseases. Its success laid the foundation of quality, ingenuity and performance that serves as our promise to every customer. We brought together thought-leaders in industry, medicine and academia to create innovative, practical solutions for the people who need them most - products that don't just enable, but empower. 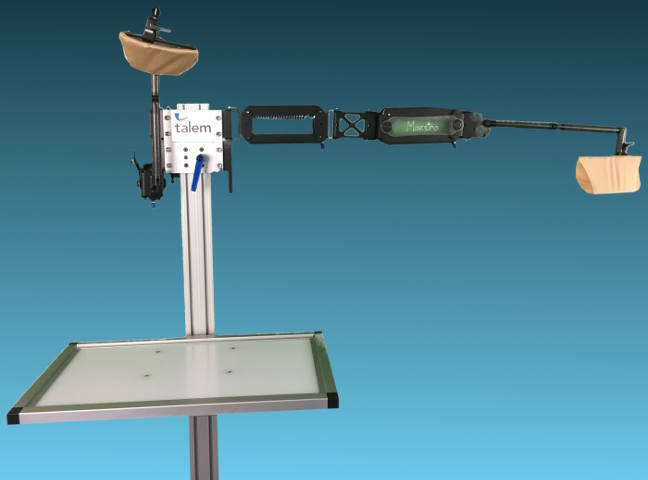 Interested in learning more about the Talem Maestro and how to purchase? Send us an email and we will respond shortly. 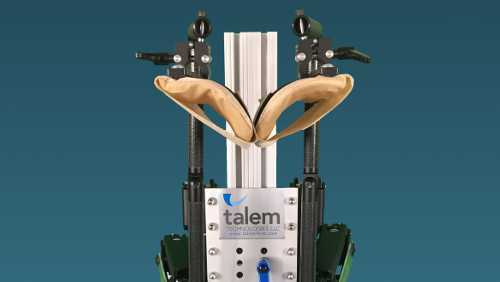 © Talem Technologies LLC. All rights reserved.